In one strike for example, the optimal strategy is to retreat into a corner and take out all the bad guys while bunkered down. Once you’ve cleared them, you can then move out and seek one of the three bosses in that mission. You must work together and focus on only one of the three, as it’s almost impossible to defeat one boss alone. If you take too long, reinforcements arrive and you have to retreat to that corner bunker again. The boss’ shield regenerates and you’ll have to do better next time. If a player doesn’t understand this ebb and flow and strays, it could take twice as long and with many more deaths to beat the strike. In another example, a different strike, sticking together is death, as the boss can easily wipe out your team by focusing its attack. Instead, the optimal strategy is to fan out, so one player can distract the boss while the other two shoot at him. This kind of team work is just…insanely fun. Some of you are probably saying this team mechanic has been around forever, and sure, it has. But this is a first person shooter and the action has never been done so well for this genre. That includes Borderlands and all the Splinter Cell games. The other thing that makes Destiny so addictive is the fact that you feel like you are your character. In the first dozen hours of the game, characters and weapons don’t seem all that different. Objectively speaking, they aren’t. Once you’ve played the game for two or three dozen hours, however, minute differences start to feel vast. For example, take two hand cannons: The Devil You Know and The Last Word. The former has good range and stability; the latter has a fast rate of fire and quick reloading, but short range and high recoil. This is just one class of gun, the hand cannon. 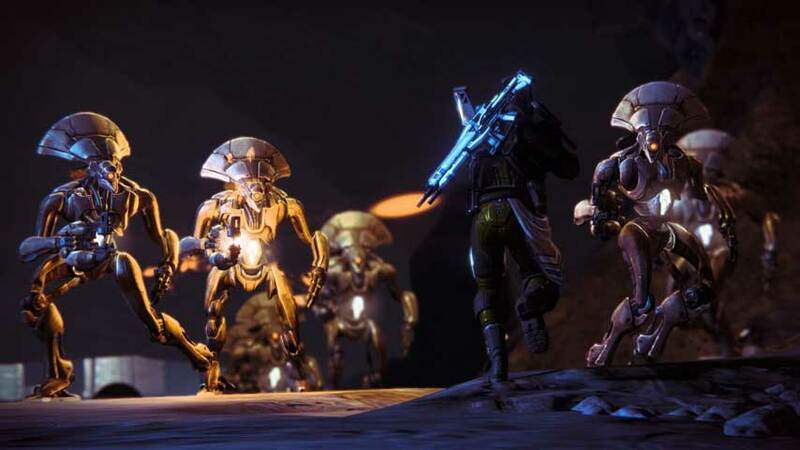 There are also scout rifles, pulse rifles, auto rifles, snipers, fusion guns, machine guns and rocket launchers; each class of weapon having many different types. It’s not just guns, it’s also armour; armour can have special attributes, like the ability to reload a particular type of weapon faster. That would be an ideal pairing for hand cannons, which reloads oh-so-slowly. Your character too can be one of six types, and each type can choose specific powers. For example, a Bladedancer can either have an invisibility power or instant health regeneration — what’s better depends on your play style. Do you like to kill and run (choose invisibility) or attack attack attack (choose health regeneration)? The customizations end up feeling vast, and if you understand your play style well, you can fine tune your selection of character, weapons, armour and powers to maximize your effectiveness. It’s like the first person shooter equivalent of Gran Turismo. Instead of tuning a car, you’re tuning an alien killing death machine. The genius (or cruelty) is that some of these specialized items are really hard to get. Really hard. You have to grind and grind to get them. Sometimes, it’s really fun and the hours melt away, with cool rewards waiting for you at the end. 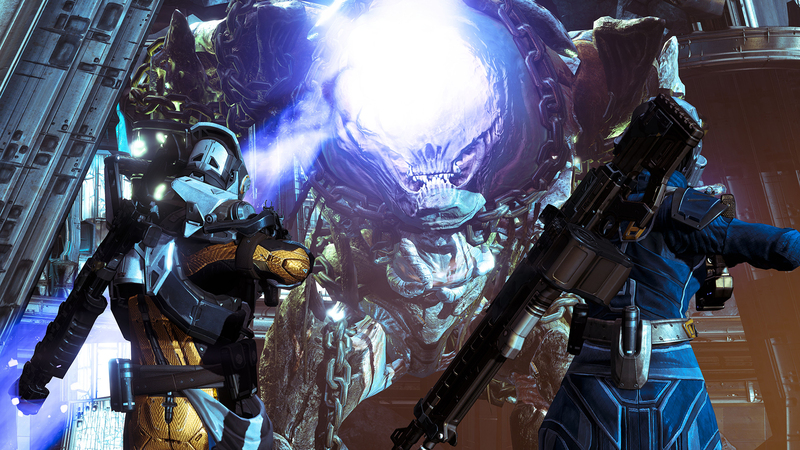 Other times, playing Destiny feels like work, which is kind of crazy. The upshot is that the game has to be really good for that kind of pain to be worth it, and overall, it is. But there is indeed a lot of pain. More on that in the next post.